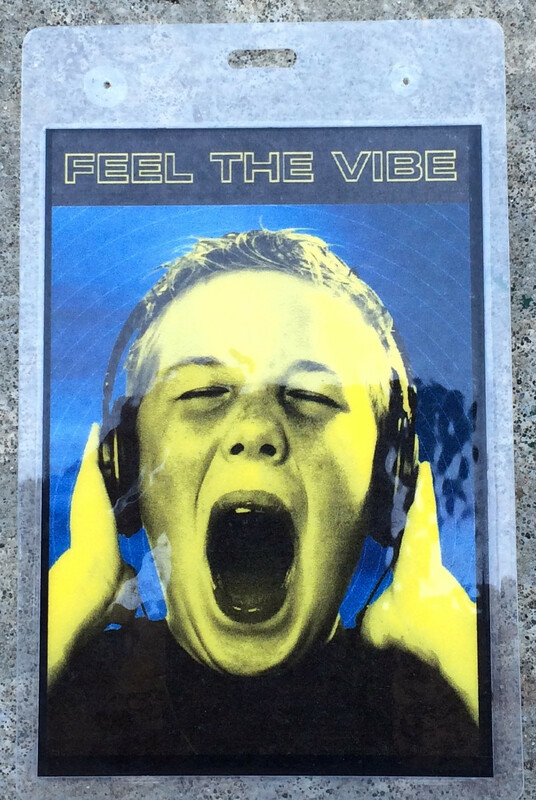 Way back in the year 2000, we had a string of ads centered around the mantra of “Feel The Vibe.” Originally titled “Feel The Vibe, Man, Because it’s Totally Gnarly,” we had to make some cuts so that it would fit on the back of our badges. Such decisions were much more difficult for us in the pre-Twitter era. Like Apple’s 1984 Mac ad or Budweiser’s Spuds McKenzie, advertising has remained forever changed in a post-Feel the Vibe world. FtV explored the nexus of split-complimentary color theory and Chris Columbus’ 1990 masterwork Home Alone through the lens of surrealist laminate. More importantly—it asked us to examine these qualities within ourselves. 14 years later, it still does. 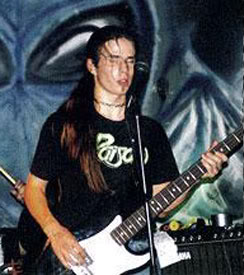 Here’s PreSonus Associate Creative Director Cave Daughdrill circa 452 AD. Since these humble beginnings, Caveman has evolved to wield a vorpal telecaster and the biggest, most ridiculous pedalboards (plural) I have ever seen. Cave’s myriad contributions to PreSonus marketing endeavors include photography, web, and a whole lotta pixel-pushin’. He also has advanced nonweapon proficiencies in Wacom Tablets and good times. Nowadays, Cave’s musical home is in your heart. Or, more specifically, in The Lazerus Heart. I still believe the latter to be true. My responsibilities at PreSonus include management and updating of all our social media platforms, writing this very blog, pinch-hitting graphic design, and general emergency response. Nowadays I hoard gear I find on Craigslist so that you can’t have it. Musically I produce hardware-based electronic music, score short films, and play in a heavy nerd-rock band called Protogeist. Of all the Throwback Thursday submissions I’ve received, this is far and away my favorite. 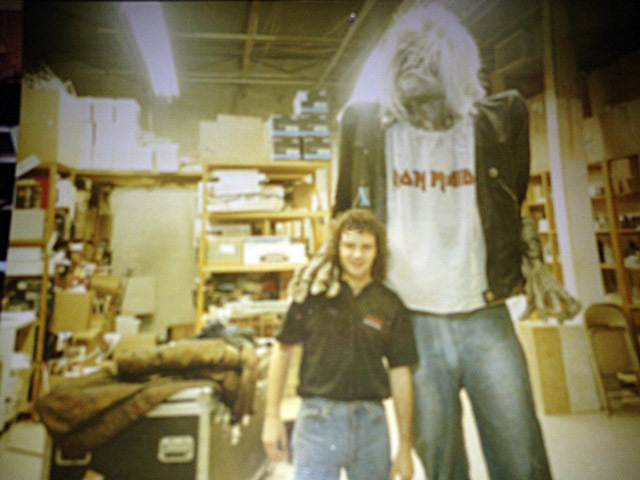 Blurrily pictured below is our National Sales Director and all-around trooper Mark Stone, alongside Iron Maiden’s undead mascot, Eddie! Like Eddie, details surrounding how this photo came to be were eroded somewhere in time, likely taken during Mark’s wasted years in retail. But, rumor has it they involved an in-store signing by Maiden, followed by explicit instructions “not to mess with” Eddie. These instructions were promptly followed by Eddie getting paraded around the mall to the delight and terror of children, chagrin from parents, and ended with a stellar footnote on Mark’s resume. 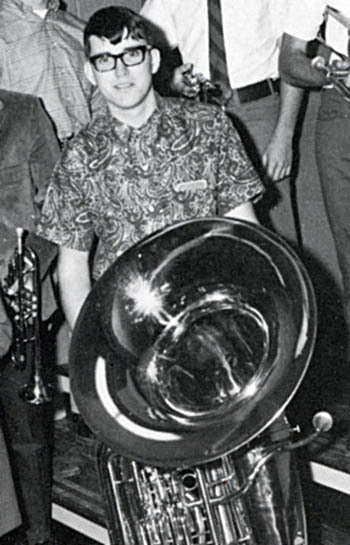 Here’s marketing maven Ron Koliha during his tenure with the Classy Brassy Oompah Band. 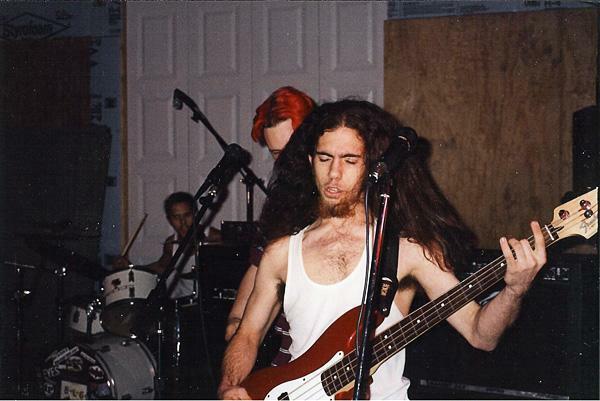 This photo was taken shortly before he was kicked out of the band for hyping an upcoming show by canvassing parking lots and distributing flyers under the windshield wipers of cars. Flyers that looked a lot like parking tickets. The entire band was held responsible for the hefty $12,000 littering fee—still a record fine for this charge in Yakima county—and Koliha was summarily dismissed. Perched atop a crabapple throne gilded with the tears of lesser designers, Ron directs all PreSonus marketing efforts with an iron fist in a burlap glove. Here’s Peter Burrows in a much more tranquil time, back before he became the raging wildman we know today. 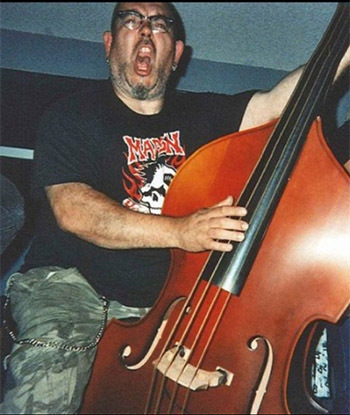 Peter is now our Senior Hardware Engineer, where he is able to leverage his psychobilly gearhead roots into the mechanations of our top-shelf products. If you ever found a little extra grease leaking out from under the pan knob on your StudioLive, blame Peter. Nowadays, Peter’s musical focus is with a new top-secret rockabilly band alongside PreSonus cohort Matt Conrad. VP of Sales Rick Naqvi also serves as both the face and mouth of PreSonus. 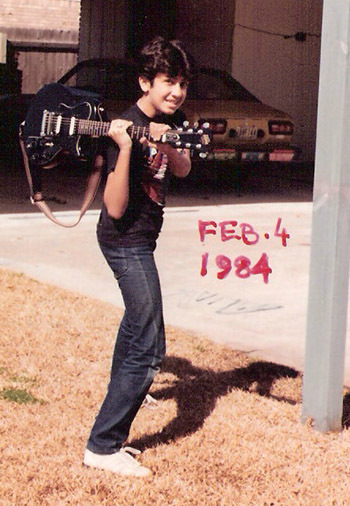 Rick’s upbringing was a little less musical than other PreSonus regulars—here he is depicted moments before destroying a 1983 Les Paul Studio in a fit of fructuse-driven pre-teen rage. Rick’s smashy habits were a path to success, as these humble beginnings lead to a three-year stint as pinch-hitting guitar smasher for KISS during the “No Peter Criss, No Ace Frehely, and No Makeup” era from 1987-1990. Rick’s age is difficult to calculate here, as the exact date this photo was taken remains unclear and is probably lost to history. 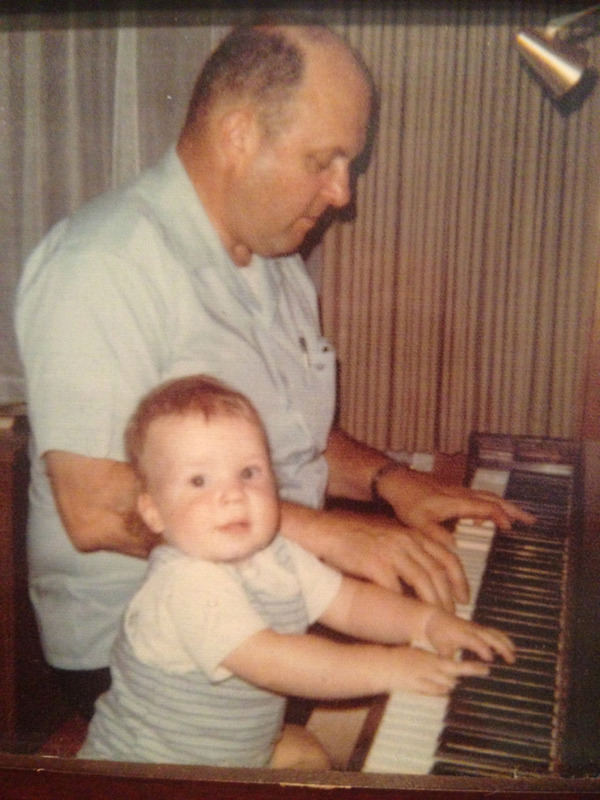 It’s an oft-spouted cliché that good musicians are handed an instrument before they can walk. But Alex is now walking/proof. Nowadays Alex’s musical output is of the wonderfully bionic variety. A self-described “synth collector, fixer, modifier, and knob twiddler of sorts,” Alex has been known to bring some incredibly rare—daresay obtuse—electronic instruments to the PreSonus office. Such gear invokes envy from our producer-types, and eyerolls from our pedal steel guys.